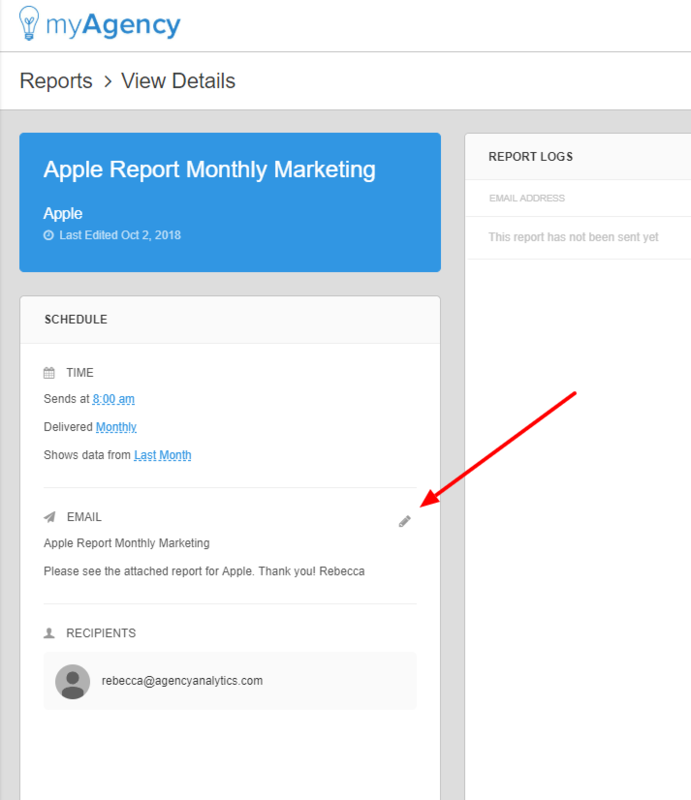 Click the name of the report, then click the appropriate "edit" icon in the "Schedule" section. This will open the scheduling wizard. 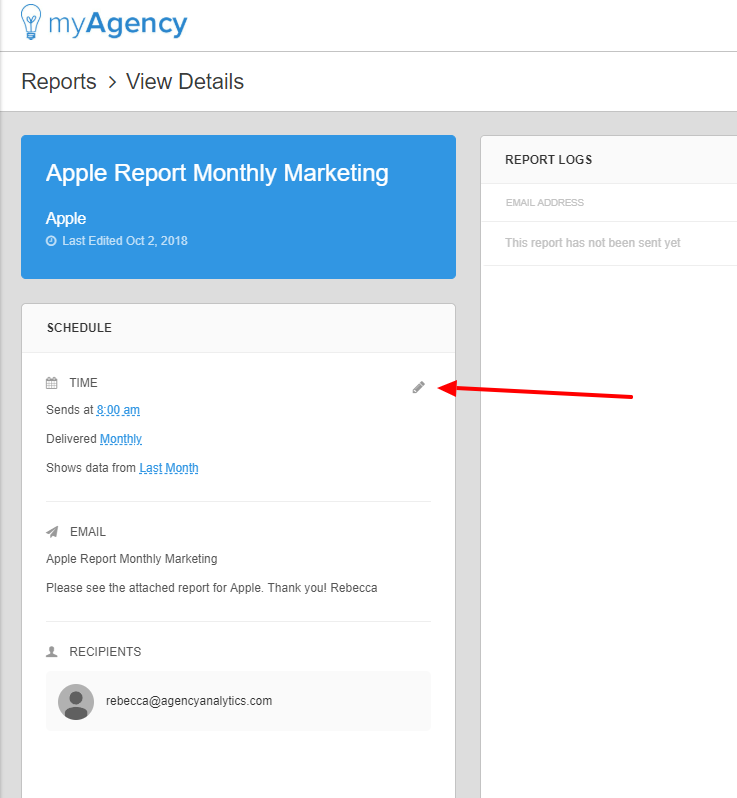 Navigate to the report section, then click the name of the report where you'd like to modify the send options. Hover over the section that you'd like to edit in the "Schedule" section until the small "edit" icon appears. Click the "edit" icon. So if you wish to edit the send date/time/period options, click the "edit" icon for that section. If you wish to edit the email or the recipients, click the "edit" icon next to that section. 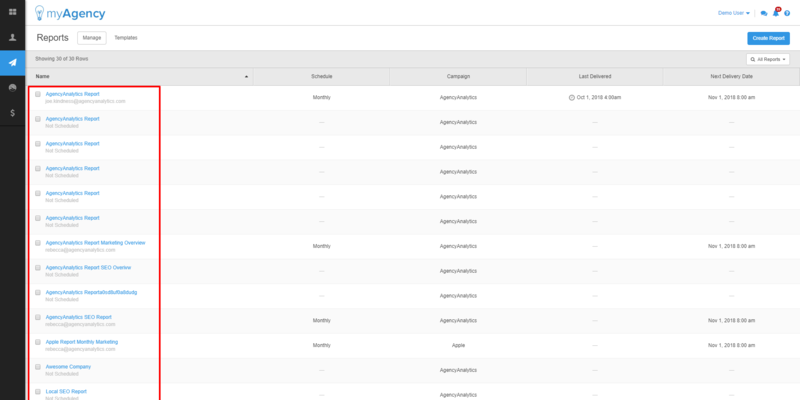 The "schedule report" wizard will open, giving you access to edit the appropriate options. Make your desired changes, then click "Save".